There’s just something about Rutherford. 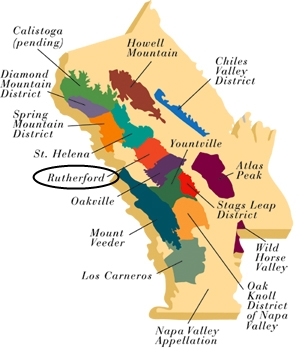 Centrally located in the heart of the Napa Valley, Rutherford is one of 16 sub-appellations within the greater Napa Valley American Viticultural Area (AVA). The Rutherford AVA is noted for intense Cabernet Sauvignon, Merlot, and other varietals (Napa Valley Vintners, 2015). My favorite Cabernet Sauvignon comes from the Rutherford AVA. I have found that certain growing regions set the standard for certain varietals. For example, the Willamette Valley is the standard by which I judge Pinot Noir, and the Sierra Foothills AVA, specifically Amador County, produce what I consider to be premier Zinfandel, by which I compare examples from other areas. To be sure, everybody’s preferences are different, but in my opinion, Rutherford Cabernet is the best. How well I like Cabernet from other regions depends on how closely they resemble Rutherford. The Rutherford AVA is noted for its legendary Rutherford Dust. The term is often credited to André Tchelistcheff, former winemaker at Beaulieu Vineyards (Swan, 2011). According the Andy Backstoffer, who worked with Tchelistscheff, the term refers to the terroir of the AVA. When Tchelistcheff said, “The wines must have Rutherford dust in them,” he did not mean they had to taste of dust. “André meant they needed to taste like they came from Rutherford’s vineyards,” Beckstoffer explained. Tchelistcheff was talking about terroir. (Swan, 2011). Terroir is the influence the climate, soil, and terrain on a wine (Puckette, 2013). The concept of terroir is a bit nebulous, since the word is French in origin and has no direct translation into English (Balik, 2012). However, it is that terroir that gives wines from a certain region or appellation its distinctive profile and taste. Such it is with Rutherford Cabernet Sauvignon, for me. Napa Cabernet, in general, and Rutherford specifically, tends to be pretty pricey in comparison to that of other regions. A recent search of the Total Wine & More website revealed the lowest priced Rutherford Cabernet was BV Rutherford Cabernet at $24.49 for a 750 ml bottle. The highest price was Inglenook (Niebaum-Coppola) Rubicon, 2009, for $199.99. Compare this to Cabernet from the Central Coast (California) region, for as low as $7.97 for the same sized bottle, from Cupcake. I’ve never tried this one, and frankly doubt I ever will, but I’d bet there’s more than a little difference in quality and taste. Not to suggest that Central Coast Cabernet is bad, but the fruit from which it is made is less expensive. Feel free to draw your own conclusions. Speaking of the cost of fruit, one of the reasons Napa and Rutherford Cabernet is more expensive is that the grapes from that region fetch a higher price. 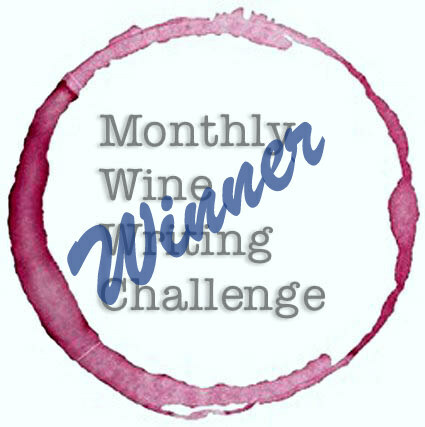 In 2013, Cabernet Sauvignon from District 11, generally southeastern Sacramento County and northern San Joaquin County (e.g. Lodi), sold for an average $709 per ton. Compare this to District 4, Napa County Cabernet grapes, which sold for an average of $5,499 per ton (Adams, 2014), nearly 8x the price! I’ve said before that my wheelhouse for wine is $10-18, with $25-35 for special occasions. Suffice it to say, I don’t get to enjoy as much Rutherford Cabernet as I’d like. When I do indulge, it’s usually on the lower end of the spectrum, such as it is. I’ve tasted more expensive brands at wineries, but Beaulieu Vineyards and Provenance are usually what I buy, but as a Naked Wines Angel, I also have access to a new release from Matt Parish. At Angel price, this sells for $29.99, and it is as good a Rutherford Cabernet as any I’ve tried – even in the $80-100 range. It’s a very small lot, so the two bottles I bought recently are probably all I will get of the current, 2013 vintage. I plan to save one for at least a couple years. In the meantime, hopefully Matt will be able to make more in another vintage. It’s worth the splurge! Whatever your favorite is, whether its Cabernet Sauvignon from Rutherford AVA, Sta. Rita Hills Pinot Noir, genuine Bordeaux, or any other wine from any other region, just remember to drink what you like!